Keeps PURELL® Hand Sanitiser close at hand. High-capacity refill ideal for all high-traffic locations. Easily removable adhesive allows for flexible placement options. For use with 350 mL bottle. 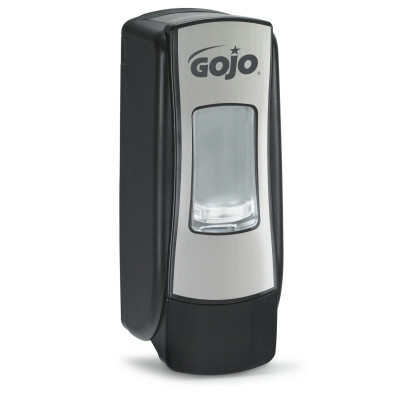 Compact foam hand wash dispenser. Fragrance-free formula rubs in quickly and nourishes skin, with no greasy residue. Gel-style hand cleaner with pumice scrubbers for heavy-duty soils.